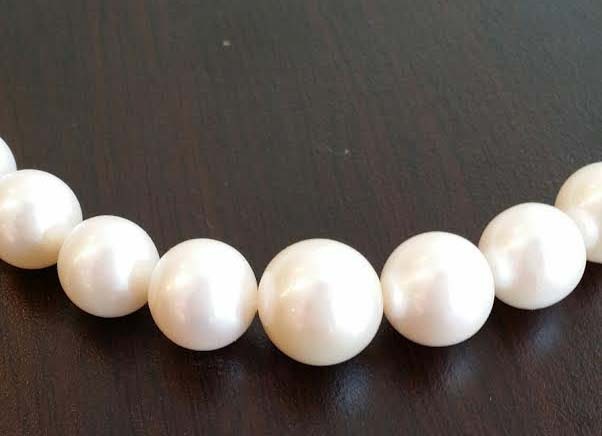 AAA grade cultured pearls are creamy smooth and graduated from 14 mm down to 10mm. Strung and hand knotted with Kevlar and a 14KWhite gold filigree clasp this 16.5 inch necklace is a classic heirloom piece that can be worn for many years. Never out of style!